Make rice milk at home. If you are wondering how to make rice milk, you may be surprised at how easy it is. Make your own rice milk at home using just a few simple ingredients. Rice milk is growing in popularity. Many people are turning to vegetable milks such as rice, soy and almond, as an alternative to dairy milks, such as milk from cows, sheep and goats. This may be people who follow a vegan diet, people who avoid dairy products for health reasons or simply people who enjoy trying different things. Rice milk comes from rice that has been cooked, ground and then strained. The resulting liquid is cloudy and similar in appearance to other milks. It is rich in carbohydrate and low in fat. Rice milk is naturally bland tasting and commercial rice milks are often flavored with syrups or sugar. As rice milk is not as nutritionally balanced as dairy milk, some commercial brands of rice milk are made with added nutrients such as calcium and vitamins. While rice milk is available from health food stores and an increasing number of other outlets, it is surprisingly simple to make at home. When people decide to learn how to make rice milk, they often expect that a lot of special equipment and supplies are required. The reality, however, is very different and rice milk can be made at home using store cupboard ingredients and normal kitchen appliances. The principle for making rice milk at home is the same whether you use white or brown rice. This involves extracting the liquid or milk from cooked rice. There are many ways of doing this and people soon develop their own preferred system. Note: The proportions of rice to water may vary depending on the type of rice used and your own preference for thick or thin rice milk. There are many ways that the basic method of making rice milk can be varied. Flavorings such as syrup, honey (not for a vegan diet), sweetener or even cocoa powder can be used to give added taste to the milk. White rice can be substituted for the brown rice. This gives a thinner milk. 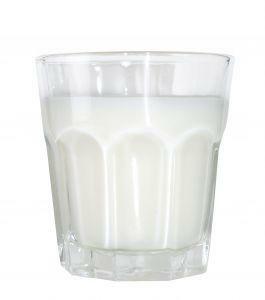 Less or more water can be added to create milks of different consistencies. Having learned how to make rice milk at home, the next question that people ask is how to use it. The answer is very simple, rice milk can be used as a drink or as an ingredient when cooking. It is ideal for making white sauces and works well as a dairy milk substitute in many dishes. Rice milk has a naturally bland taste and this makes it ideal for using in both sweet and savory dishes. The best way to store rice milk is in an air tight container in the refrigerator. Be careful not to store the rice milk near strong smelling food as the rice milk can pick up strong odors or flavors. Rice milk will keep for several days in the refrigerator. Rice milk is so simple to make at home that it provides an easy alternative to dairy milks and can be enjoyed by the entire family.